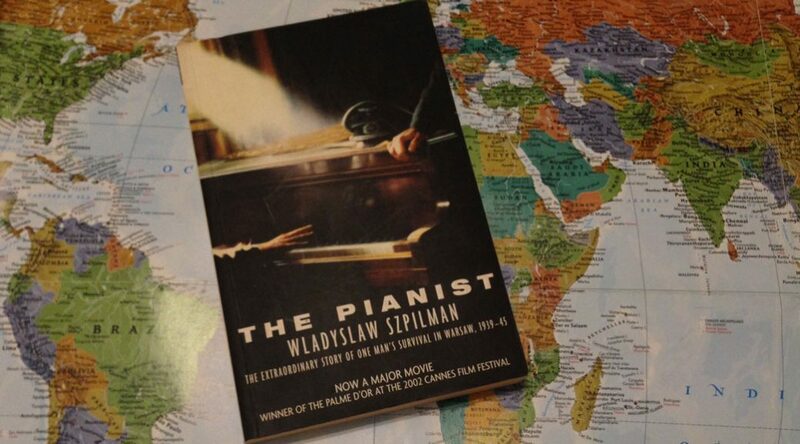 The Pianist is Polish musician Władysław Szpilman’s memoir of his brutal survival in Warsaw’s Jewish ghetto during World War II. Sixteen years ago I watched the film adaptation by Polish director Roman Polanski, and its harrowing images and poignant emotion left a profound effect. Upon seeing the book, I didn’t need to think twice about choosing it for the Polish leg of my reading challenge. Hans Christian Andersen said that “where words fail, music speaks,” yet Szpilman, himself a musician, found the words to recount his tale. It’s a tale that relates all the pain and suffering that Szpilman endured at the hands of the Germans during the war, including the loss of his entire family. His memoir is an agonising race from one escape to the next, one hideout to another, until he is saved by a German officer, Captain Wilm Hosenfeld. Relating one atrocity after another, the memoir sears frightful images into your mind of the atrocities suffered by the Jews. But almost nothing knocks the breath out of you quite like the indelible gratitude Szpilman, a Polish Jew, displays to Hosenfeld, a German officer. Here are two men whom society had dictated must hate one another, but from their first encounter they prove that not only can we cross the lines drawn to divide us, we can erase them. Upon meeting, Szpilman plays Polish composer Frédéric Chopin’s Nocturne in C sharp minor, for Hosenfeld. After the war, Hosenfeld is taken prisoner and Szpilman does everything in his power to rescue the man who once did the same for him. Today lines continue to be drawn, as nations spar, citizens disagree, and unfathomable fables continue to be perpetuated in an attempt to divide and dissent. But as long as there are those drawing lines, there will be those erasing them – through words, through deeds, and through music.